I am often reminded of the phrase ‘good wine starts in the vineyard’. 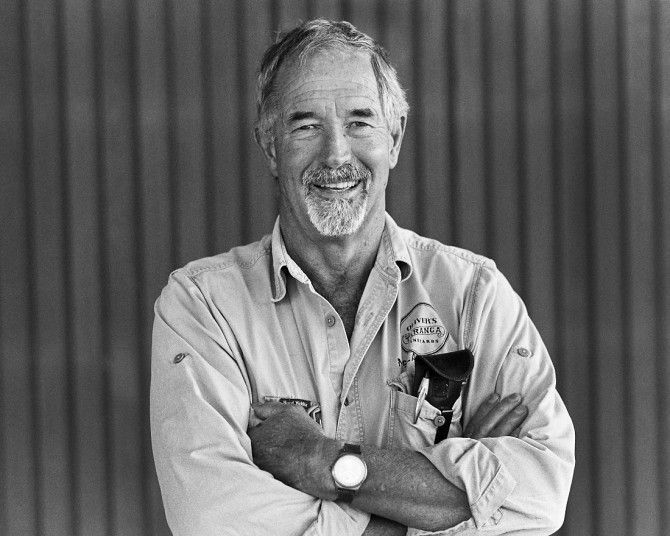 One of the things I learnt when working on the Grange Book was that inclusion in the Grange growers ‘club’ is a highly sought after accolade, even by growers with their own wineries. Luckily I had a camera with me and shot what has become one of the favourite images in the book. 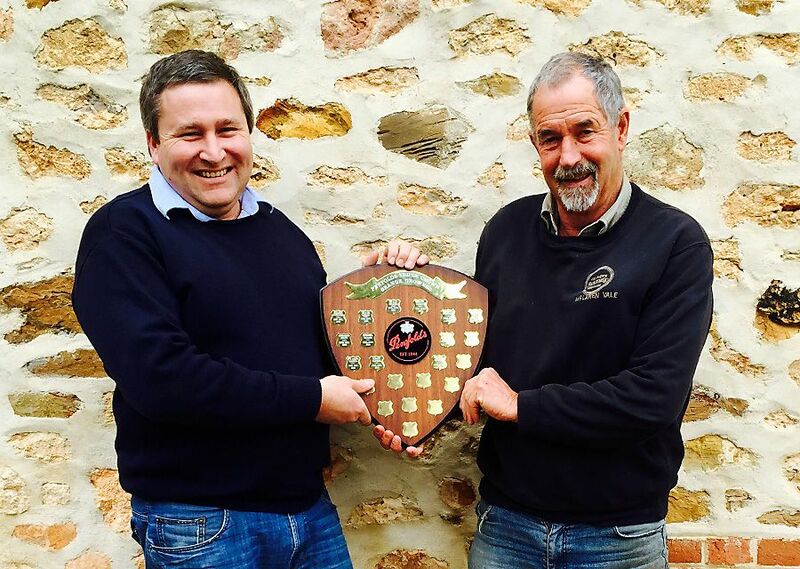 Grower Don Oliver was recently awarded the Penfolds Triple Crown Grange Growers perpetual trophy – the first for a Mclaren Vale grower. Aerial of Oliver’s Taranga. Photo supplied. 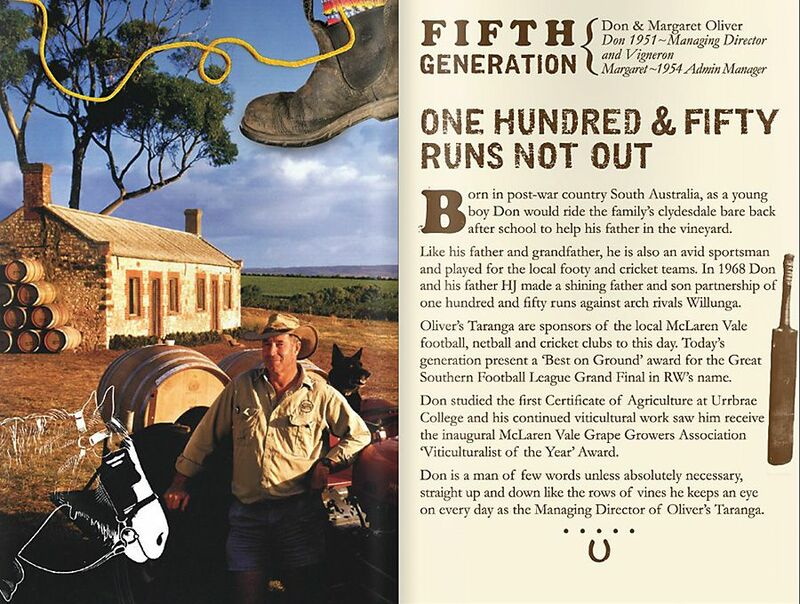 Even though he is a shareholder in Oliver’s Taranga, Don has grown for Penfolds Grange for many years. As Don commented to Philip White in the Grange Book, “the risk is certainly worthwhile when we do make into Grange” he marvelled. I guess my title is Oliver Taranga’s Viticulturist. I’m a partner in the wine business and my main job is looking after the vines. I have a few workers who do most of the physical work, but I do all the planning, scheduling, the irrigation. These things are really the number one priority for the high-end vines. You have recently received the Penfolds Triple Crown Grange Growers perpetual trophy. What’s that all about ? 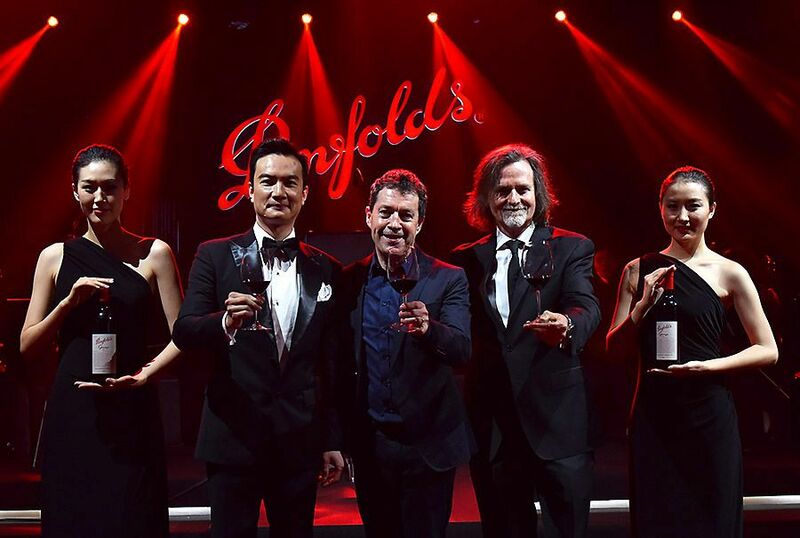 It’s an award Penfolds give to their most successful growers. It recognises vineyards that have had their grapes used in the Grange for three years in a row. 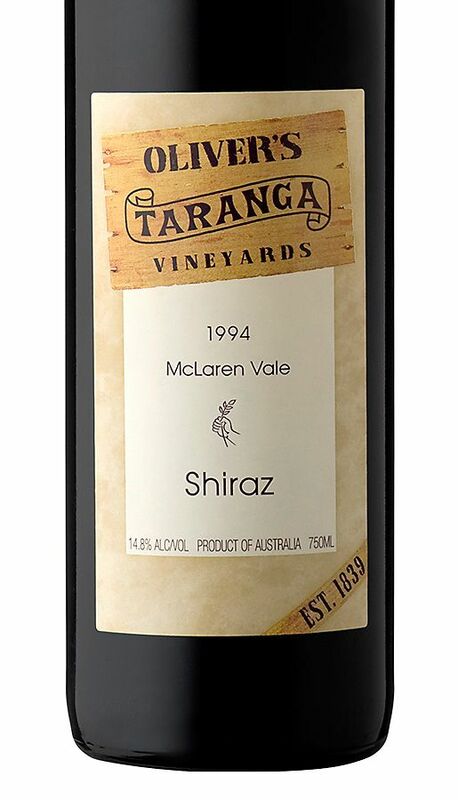 We are the first from McLaren Vale to achieve it for vintages 2012, 2013 & 2014. I love being able to contribute fruit for such an iconic Australian wine. It makes me very proud and I feel that aiming for Penfold’s Grange really drives the quality of the entire vineyard forward every year. 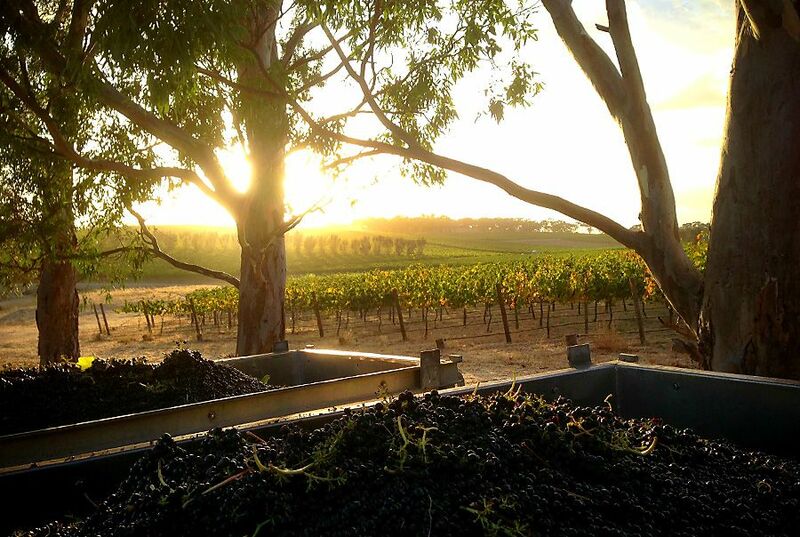 We are super lucky that the generations before us decided to settle on this land in McLaren Vale, it has turned out to be extraordinary dirt for growing high quality grapes, I only wish that they would put McLaren Vale on the label one day, instead of just South Australia! The 2011 Grange has just been released did your fruit make the cut for that wine ? 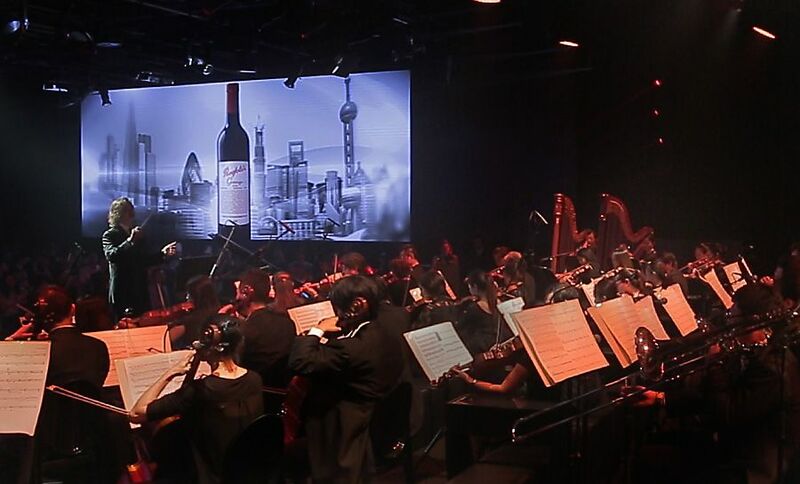 World wide launch of the 2011 Grange in China accompanied by the Shanghai Philharmonic Orchestra. Photo supplied. No my fruit wasn’t in the 2011, but another Oliver Taranga’s block, owned and managed by our winemaker and my niece Corrina and her husband Dan was. Apart from Penfolds fruit, there were fewer growers than normal that year. We lived here on the farm. I remember coming home from school with my cousin. 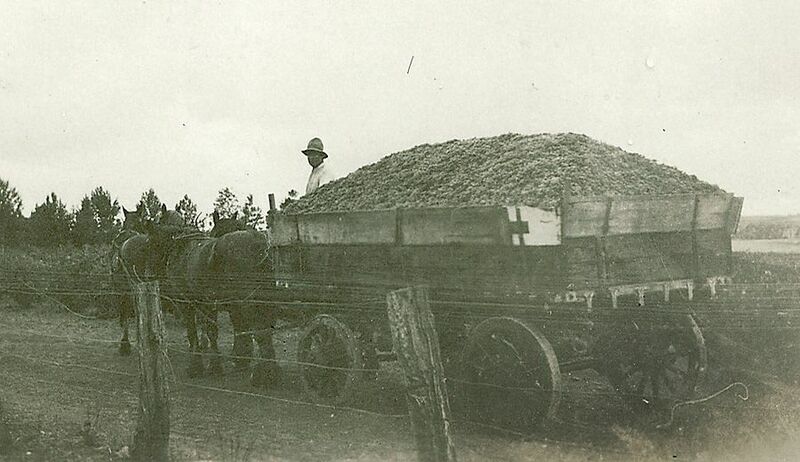 Harvest : Clydesdales were used in the very early days. We used to jump on the farm’s last two Clydesdales when they had finished work. They would walk home across Olivers Road into their stables with me and my cousin on their backs. There were no adults around, but no one worried. They were big buggers, 18 hands, they’d walk so close to each other our legs would rub together. The horses worked on the vineyard, they were great during pruning. We had an old vine Burner which the horses pulled along between the rows. The pruners chucked the cuttings into the burner. They burnt them in the vines while they continued pruning. Kept the pruners warm, and put all of the carbon back into the soil! All we had to do was whistle to the horses and up they came, can’t do that with a tractor. My dad finally bought an old tractor around 1947, we’ve still got it. The old Farmall- it still runs! 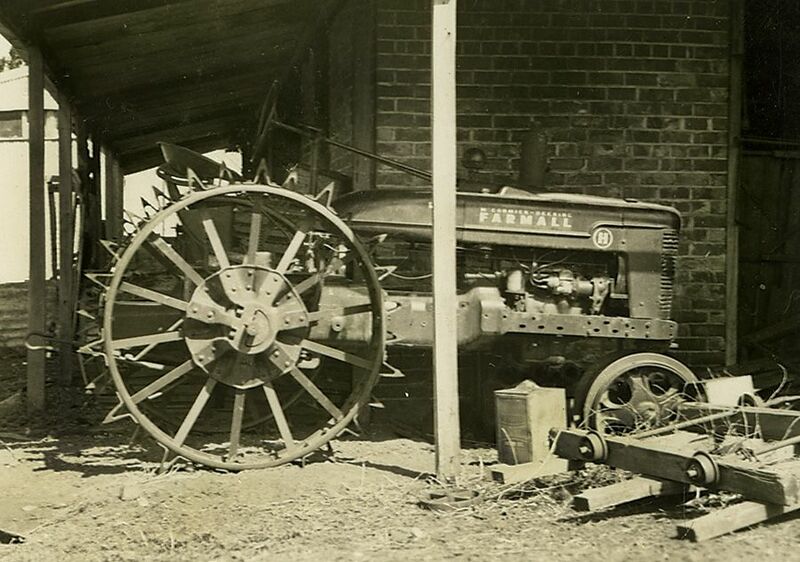 The old Farmall tractor around 1947. Prior that we had a Clydesdale stud, my father used to say it took half profit from the property to feed those horses. He hated horses, couldn’t wait to get something you could put diesel in. Those horses did everything. During harvest, when they were loaded up the grapes, they used to just about know their own way up to Kay Bros winery. In my time we supplied fruit to Cud Kay. Cud was a real gentleman, my father dealt mostly with him. Cud’s a legend in McLaren Vale, one of the nicest guy you ever met. Prior to that my family sold grapes to the original Kay Brothers- we are even mentioned in their diaries a lot. How did you get into growing grapes ? I’m the fifth-generation of a mixed farmer family. Don’s fifth gereration page on the Oliver’s Taranga web site. When I left school it became clear to my Father and I that we need to get bigger. In 1986 we split the family farm up. We stayed here and my uncles side ended up with a property in the south-east. There wasn’t much future in share farming or cropping, so we decided we’d plant more vines. My father didn’t like grapes in those days. Luckily he could see the future and we needed something more than share farming, sheep and cropping. 1986 was a very tough, you couldn’t give grapes away. 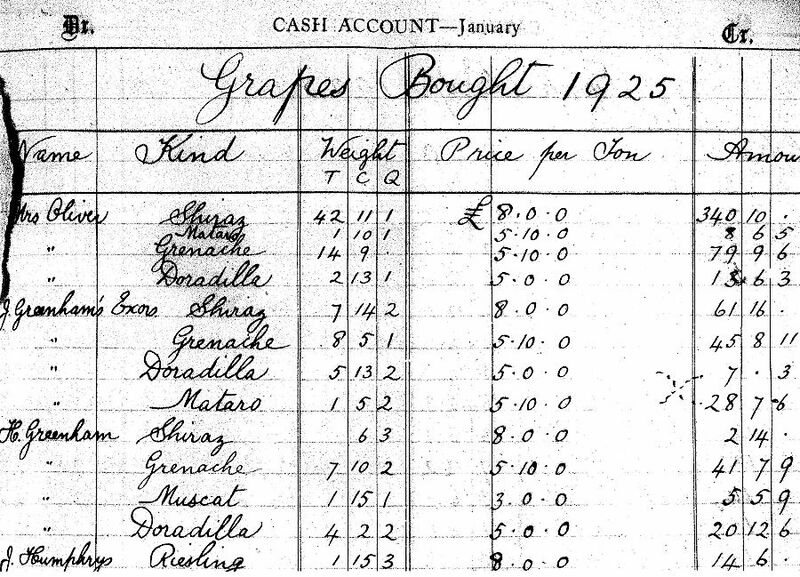 Cash inventory book 1925. Photo supplied. Early on I can remember people owing us for up to at least three vintages. With the advent of the recycled water from the Christies Treatment plant we were able to plant more vines. The bore water on the farm had got too salty to be of much use. The recycled water is getting very expensive now. We are able to afford it because we use the latest technology to help with irrigation. The computer system runs everything. I can access it from anywhere in the world, even off my phone. Really you could say I became a grape-grower out of necessity. Don and his dog, Digger, walk home through the Oliver’s Old Block. Photo : Milton Wordley. 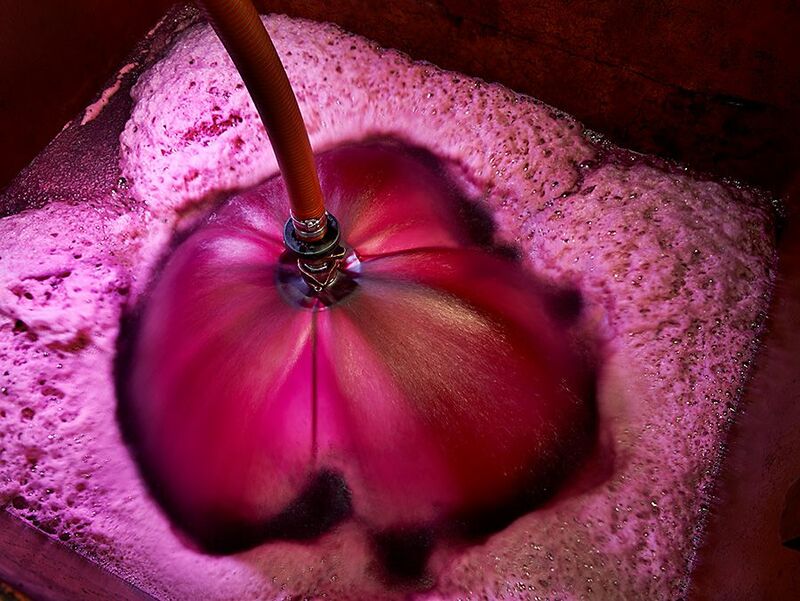 How did you start to grow fruit for Penfolds ? 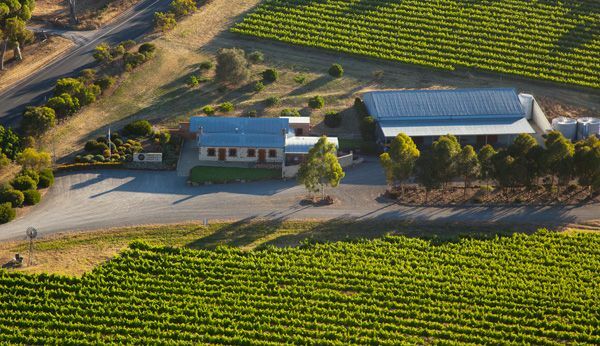 We were originally Wynns growers, then once the Wynns label was purchased by Penfolds in 1985, we became Penfolds Growers. We have stayed with them throughout all the changes in ownership since then. Prior to 1996 we would try to get more tonnage. Penfolds came out around this time to help us improve our fruit. It was about the time they introduced an incentive scheme, we would get a little more money if we grew better fruit. 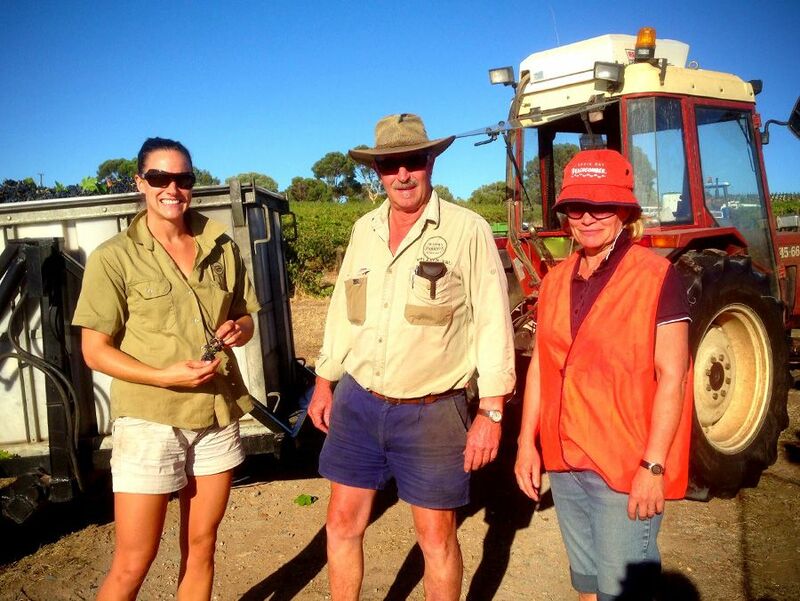 Vintage 2014 : Brioni, Don & Margie in the Taranga Vineyard. Photo supplied. They bought out a neutron moisture probe. They measured the soil moisture, and gave us the measurements. In those days we had relatively recently changed some of the blocks over to drippers. Prior to that, we had a soaker hose that we had to move from row to row- pretty physical work! Once we got some of the neutron probe measurements we changed everything over to drippers. That was when I started to learn to grow grapes properly. It is all about stressing them at the right time of the year. We would have liked a neutron probe ourselves, but the early technology was radioactive and quite dangerous so you needed a license to operate it. Technology has moved on now and we have constant moisture loggers. We have them on about 12 sites, where we measure the moisture by putting a probe down a hole. It was all a learning curve. In 1997, I nearly fried the vines on the block that made Grange in 96. I tried to repeat the year before, however in 97 they had double the crop load and I learned very quickly that you had to adjust the level of moisture depending on the crop. Luckily the other block made it. 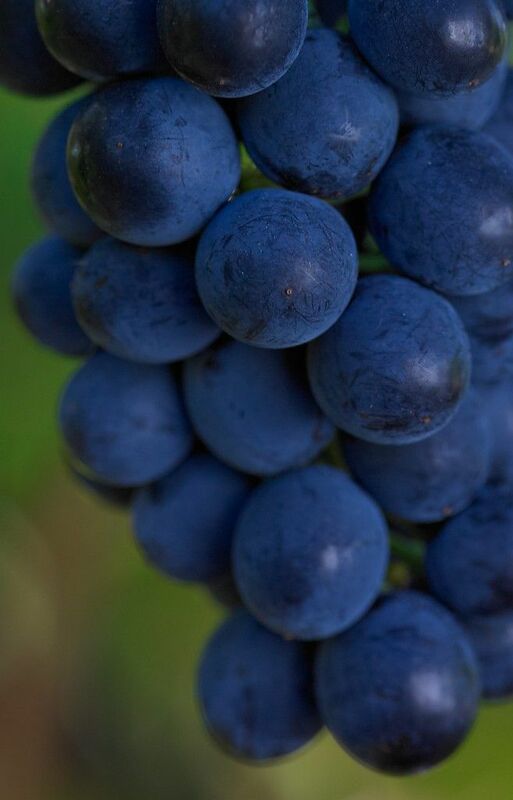 Shiraz fruit. Photo Milton Wordley. You need to know your moisture but most importantly you need to learn to look at the vine. 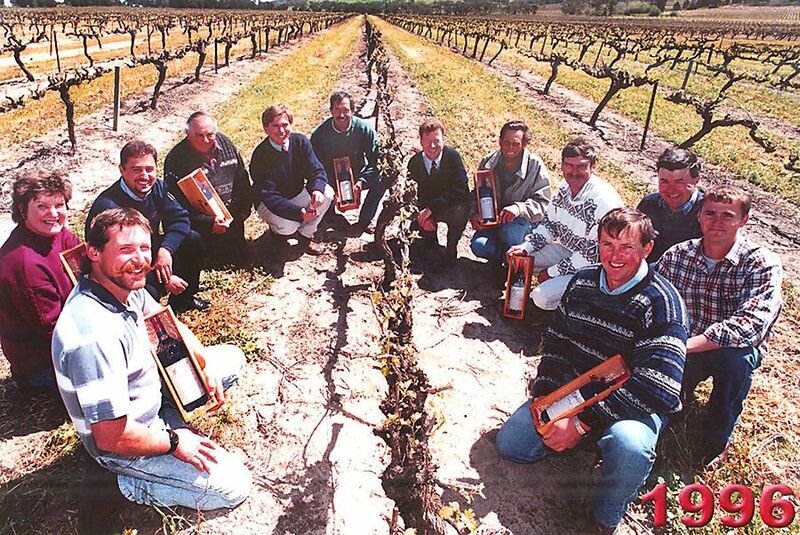 The guys from Penfolds helped us a lot in the early days. How has the fruit changed between 96 and now ? We did not use any science in those days it was all straight farming. We grew good stuff back then, but wasn’t because we knew what we’re doing. It was the soil, the terrain, the weather it all came into play. We were after tonnage to pay the bills. We’ve change the way we manage the vineyards by targeting more single blocks to get to the high-end fruit. Different soil, so different treatment on each one. I’ve also got a clearer picture in my head of what the vineyard and fruit needs to look like. But doing is the hard part, the weather really influences that, and we have no influence over the weather! The Grower Liaison Officers used to come down regularly a few years ago, but now they mostly leave us alone. At one point it seemed to really turned around, we learnt how to do get consistent good fruit regular basis. It was a great learning curve. There were years when I thought I had just right and sometimes it got picked early, but often a bit late in my opinion and we missed out on making the high-grade. This year Corrina picked Oliver Taranga vines before Penfolds started. Corrina doesn’t like the high alcohol, she likes to use natural yeast. She’s changed the way she does things. I see you acknowledge the Grange connection ? 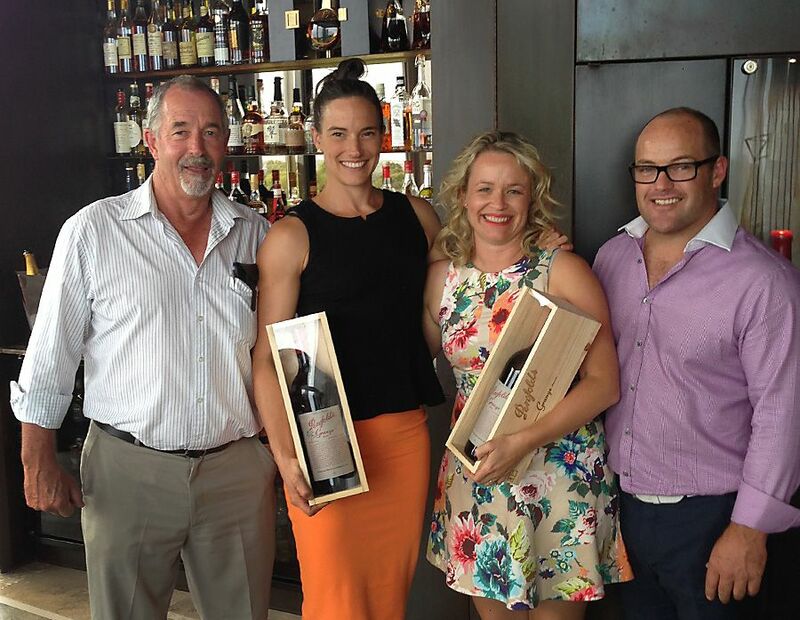 Don, Brioni, Corrina and Dan at the Grange Growers Lunch 2014. Photo supplied. We hang the ‘Grange Growers’ lunch pictures proudly in a cellar door. We let our customers know that some of our fruit makes Grange. We tell them openly we make our wines differently, using French oak rather than American. 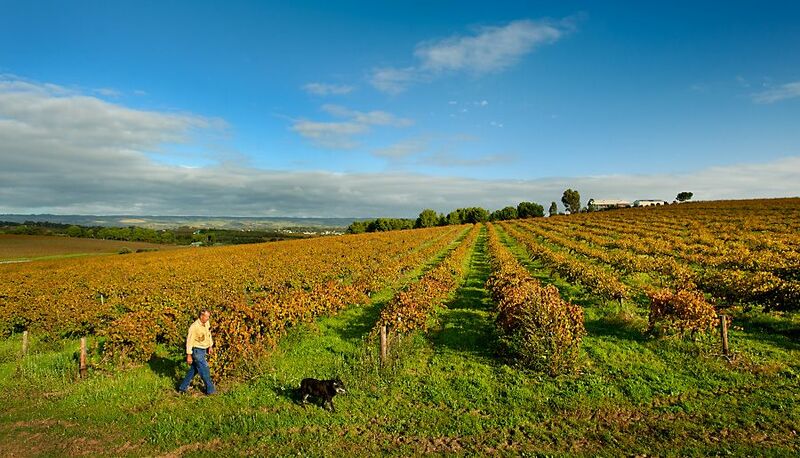 We our very proud to be part of the Grange story, it is a very iconic brand for Australia. We are not trying to make Grange at Oliver’s Taranga and we couldn’t anyway. I find the French oak is a little softer. 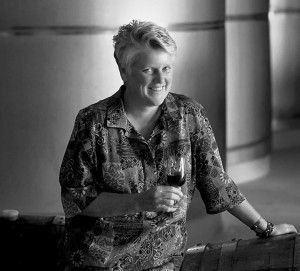 How did you get an interest in the wine industry ? Didn’t really have much interest in the early days. When we started to grow grapes, the grape growers part of it was terrible, we were treated like third cousins. Back then you got paid, if you even got paid, whatever the going rate was. Luckily for us the winemakers finally realised you had to have good grapes to make good wine. It was really Penfold’s who started putting their money where their mouth was in 1996 with the start of the Grange Growers Club. They started paying us extra for Grange. For me it was a turning point. That made grape growing exciting. Grange Growers in 1996. Photo supplied. There were two major turning points for me. One was when we started to get paid properly for the quality of our fruit, and the other when we made our own wine in 1994. I saw that value adding was the way to go in the future. So in a sense that’s how I got into the wine business. I get a lot of enjoyment and kudos when we produce good fruit to make good wine and we get paid well for. It’s a real pleasure when people ring up saying “I just tried your 99 it was fantastic thank you or how good was that”. We want to have a reputation for producing age worthy wines. I love to share well made, well cellared older wines with my mates. Long-term I think we will survive because we’re sticking to producing good quality fruit and wine, suitable for ageing. Those were the two things that made great growing exciting for me. Pam Dunsford. Photo : Milton Wordley. First of all, in 1994 Pam Dunsford up at Chapel Hill did, then Nick Haselgrove at Kays, with Corrina learning from them. 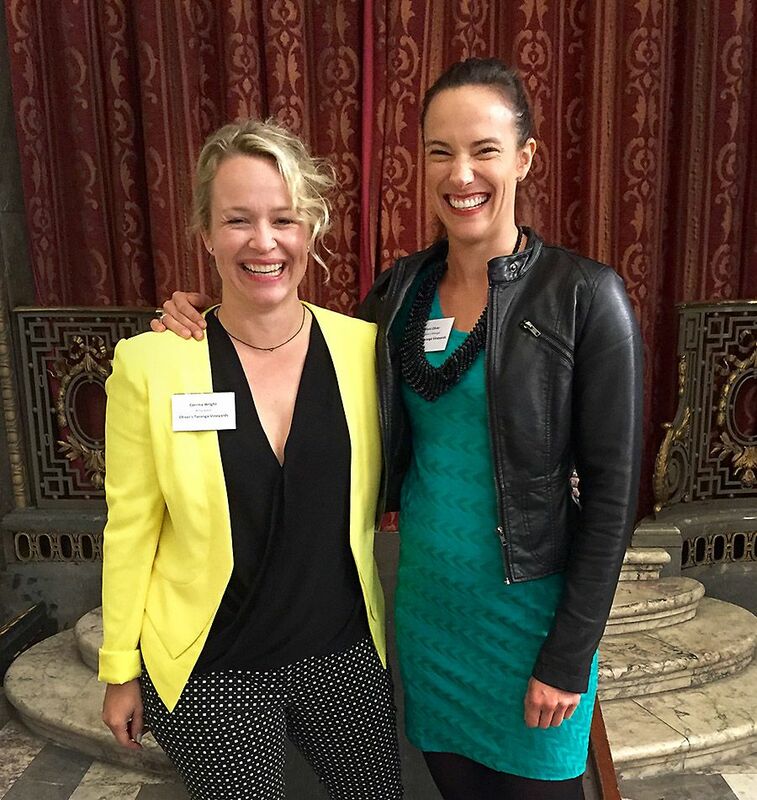 Corrina finished winemaking at uni, winemaking for Southcorp Wines and travelling all over the world around 1999 and has been making it ever since. Do you have a favourite one style ? Any good aged Shiraz or Cabernet. Generally a medium alcohol wine, with some acidity to keep soft and smooth. I love sitting down with a group of mates with an aged soft wine that compliments the meat and doesn’t take over. Being a bit biased I guess, so any of our wines, they’re all memorable. I’ve had some really good Grange’s at the Growers lunches over the years. I’m not familiar with many of them, but they pull out the good ones. Some very fine wines from the 1970s snd 80s. They treat us like kings at those lunches. 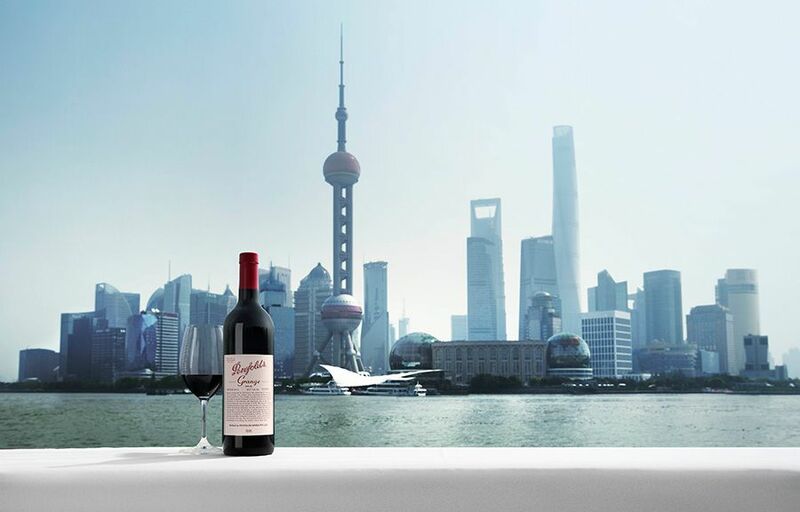 It’s nice that the Penfolds winemakers put us on the pedestal. They look after the growers. I’ve only missed one lunch since 1996. We were out of the country. My brother went. The Magnum of Grange they give us every year is also very memorable, and we have opened them at a number of important family events, like my mothers 90th birthday. Beef is my absolute favourite, cooked on the rare side of medium rare. The meat would come from our family grazing property in the South East. 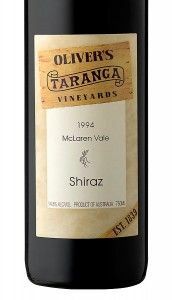 The wine, an Oliver’s Taranga 1998 or 99 shiraz. I love fishing, so any kind of freshly caught seafood for entrée, with a good aged Clare Riesling, like an 8 year old Grosset. Who’s influenced your viticultural ? Mike McCarthy helped me a lot with irrigation. I’m always willing to learn from everyone. Technology has never worried me. I’d have to say I’m sick of being first to try something and sorting out the problems! I’d really rather be the second person trying something new! We’ve just bought a new state of the art recycled sprayer. It collects all the overspray and recycles it back through the system. So instead of the 2000 Litre tank doing 10 hectares , we get around 15 hectares. It’s a New Zealand very innovative product, by three young guys thinking outside the square. The spraying works well, but we’ve had a few problems with the axles. They have been very good really, but I have still had to sort out a few problems. Fishing. I’m a bit like a hunter and gatherer. I believe in only catching what I need. Once a year we go Coffin Bay for a feed of Whiting. We catch a bit extra then and fill up the freezer for the year. 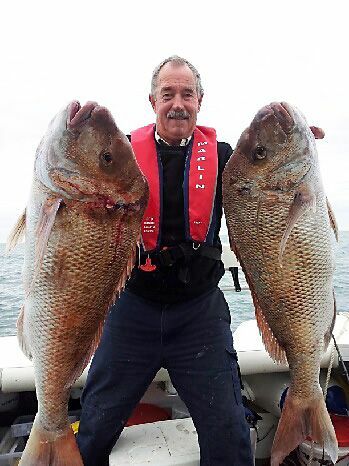 It’s nice to catch a big snapper but give me Whiting or Garfish any day. I’ve had some really big snapper on the line. I thought while I was reeling him in, why am I catching you, other than the thrill of catching you, cause you are too big and you’ll be no good to eat. I wasted most of my life only fishing off the jetty, as I used to get a bit seasick in a boat. Now I take a pill and have bought my own boat. I can come in anytime I like now, if I’m feeling a bit crook. Why do you what you do ? I reckon I’m probably one of the luckiest person around. I love doing what I’m doing. The girls and everyone else around here always ask me when are you going to retire ? I say, I don’t ever want to retire, I just wanna do a bit less and do it when I want to do it. The industry is not quite like that, and often I just have to be here. But at pruning time, my wife Margie and I can go away. The staff know what they’re doing, and there is no pressure on watering, so we take a holiday. Every year is different like this year. Never seen one like 2015. The main thing I’ve learnt is a there are a few things we can control, but a hell of a lot we can’t. The weather is the main one. In 2014 the very dry spring we had affected everything. This year we picked everything in a month that’s never been done before. Grenache in February, never done that before either. It’s normally late April and often May. I think because we had such a dry spring there was no free drink for the vines down the rows, all of a sudden they hit the wall. The canopy look good, the vines look good the fruit contracted and we lost 30% at least. Sunrise at Oliver’s Taranga ’40 acre ‘vineyard on picking day, vintage 2014. Photo supplied. Corrina and Brioni Australia House in London in September this year. Photo supplied. Good wine doesn’t sell now unless you put it in front of people. I tell the girls now you can make good wine, but you have got a sell it. It’s tough right now, the wine business is still on a low and I can’t see it improving that quickly, although things are more positive export wise than I have experienced in quite a while – since before the GFC. We need exports to go like they did in the mid-90s mid-to-late 90s. Americans are still drinking a lot at around $10’s a bottle we need them to be back up drinking $20 and $30 bottles, because we can’t compete at $10. Penfolds is doing well with their Bin Range, which is great because they can pay well for good fruit. Hopefully they are making money. We need them to be profitable, because if they are not they can’t pay us. Peter Gago with Chinese musician Li Quan and Australian Composer David Hirschfelder at the Penfolds Collection launch, Shanghai October 15th. Photo supplied. The French do such a good job of marketing. We’ve got a lot of work to do to catch up. I think we shot ourselves in the foot a bit by selling all the cheap stuff, it’s a hard road back to the quality end. I think there’s a future in America. I’m sure there are passionate people there who love good wine over there. We do need our exports to be going strongly. I relate that our lamb business in the south-east. 85% of our lambs are exported onto the international market. So the major retailers here in Australia pay the export price, if they don’t want to, they simply don’t get it. Now I’m sure if Australian wineries were exporting 85% of their wine we would not be in the mess we appear to be in currently. Right now, lots of wineries need to take whatever they are offered by the big retailers.